Computer Aid Plus services computers, printers, plotters and peripherals. We cater to both business and residential customers and offer fast service done right the first time. From complex Microsoft server environments to virus removal we are your IT solutions provider in Lincoln. With over 23 years in technology you can be assured of quality work for even your most demanding jobs. Computer Aid Plus is making technology work for you! Computer Aid Plus can repair your toughest computer problems! From virus & malware removal to hardware upgrades we offer complete computer solutions. No need to unplug and haul your computer in. We come to you! We’ll get it done fast and right the first time. We are EXPERTS in Computer Repair. Our experienced staff specializes in business networking and services. We support all current Microsoft operating systems from planning, implementation to repair. Support for firewall products from Sonic Wall, Cisco, ZyWall and Netgear. We are an Authorized Lenovo sales agent. Servers, workstations, ultrabooks and tablets. 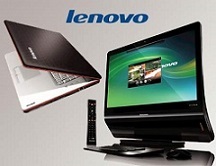 We are your one stop shop for everything Lenovo. Hikvision Digital Technology Co., Ltd. is the worlds largest supplier of video surveillance products and solutions. Whatever you need to keep an eye on, Hikvision has a product to fit your need. As an official Hikvision dealer we have access to the full line of Hikvision products. Talk to us about your surveillance needs. Let our staff help with all your printing needs. We repair HP plotters and printers. Need a new printer? We can help. Give us a call to to see how we can help you. Has your hard drive crashed? Our knowledgeable staff has extensive experience recovering data from all types of media. In addition we have teamed up with Drive Savers™ to provide a complete data recovery solution. We also provide prevention and data backup solutions to safe guard your valuable data. Need better wireless coverage in your two story house? Need to wirelessly connect another building on your property? We have cost effective solutions to boost poor signal areas and connect separate structures wirelessly. Ask about our bridging technologies. Complete home networking, design & installation. Share that high-speed Internet connection anywhere in the house, safely and securely!